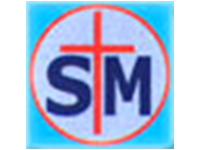 Trinity St Mary's Church of England Primary School is a voluntary aided primary school and provides education for around 250 children. The school is located in the Balham area. This school caters for boys and girls aged between 2-11 years old. To find out more about Trinity St Mary's Church of England Primary School please either contact them directly to request a brochure or make an appointment to visit, or look at their website.